Novak Djokovic vs Andy Murray Current Head to Head: 11-8, with Murray winning their last encounter as he defeated the Serb in the 2013 Wimbledon final. The ages of tennis are defined by their great rivalries. Ask someone about the sport in the 90s, and they’ll probably talk about Sampras-Agassi or Graf-Seles; try the 2000s, and you’ll hear of Federer-Nadal and the Williams sisters. These conflicts produced not only the highest quality tennis, but also the most memorable on-court drama of their times. 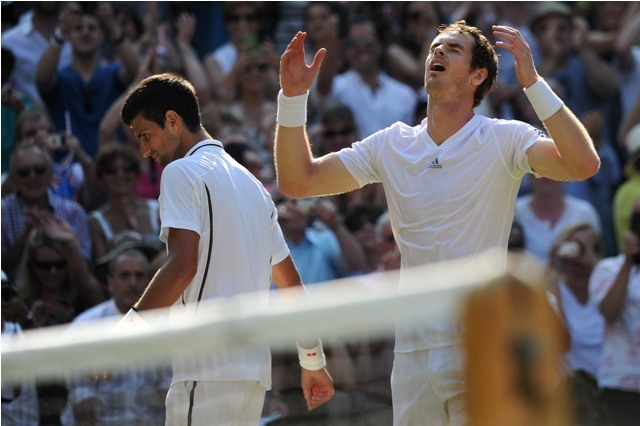 The most significant contest right now in men’s tennis is between Andy Murray and Novak Djokovic. They’ve played seven times in 2012, most notably at the US Open final, and many pundits predict they will dominate for at least the next two or three years. But just how special is their rivalry? How does it compare to Federer-Nadal or the legendary Borg-McEnroe? Let’s look at what defines a great rivalry, and see how Murray-Djokovic matches up against some of the best. For a rivalry to be great, it has to matter. How many times do they play? Do they meet in big finals? Over how many years? Best Example: Navratilova-Evert. These two met 80 times between 1973 and 1988. An astonishing 22 of these matches were in the majors, 14 of them finals. We just won’t see those numbers again. Murray-Djokovic Grade: B (so far). They’ve played 17 matches, twice in the majors, but are likely to meet many more times. Inevitability is the enemy of entertainment. Worst Example: Federer-Roddick. If Andy had been able to win just a few more of their matches, it would have raised this otherwise brilliant rivalry to the heavens. As it was, it was just too predictably one-sided. Murray-Djokovic Grade: A. If this year is anything to go by, it’s almost impossible to pick between them. This could be one of the most evenly matched rivalries in history. Tennis is a sport with immense variety of style. The most appealing matches tend to have players with very different tactics, techniques, strengths and weaknesses. Best Example: Sampras-Agassi. One was a free-swinging natural athlete, a powerful all-courter with an immense serve; the other was a highly conditioned baseliner with the cleanest returns in the game. A match made in heaven. Murray-Djokovic Grade: C. Sorry, but they play the same way. Murray has a slightly faster serve and a greater love of variety; Djokovic is quicker to run around his forehand and hits with more topspin. Otherwise, they might as well be playing their own clones. No one wants to see boring players, even if they’re playing exciting tennis. Spectators want character and energy. They want chalk and cheese, preferably with a side of sheer mutual loathing. Best Example: Borg-McEnroe. Charisma vs enigma, fire vs ice. They may not have hated each other, but the contrast between their temperaments captured the popular imagination like nothing else. Murray-Djokovic Grade: B. Djokovic is passionate, driven and good-humoured; Murray is angrier, a tortured, at times ranting, perfectionist. Off court, they’ve been friends for years, though apparently their repeated duels are starting to strain the relationship. Do they bring out the best in each other? Are their matches flat and error-strewn, or sharp and stunning? Best Example: Federer-Nadal. These two provided some of the finest contests in history, bringing astonishing tennis to the court. Only rarely have their encounters been completely one-sided, and they’ve never played a poor match. Murray-Djokovic Grade: A. Most of their recent battles have been of the highest quality. They each pitch devastating offence against smothering defence, and transition between the two better than anyone. This is a pretty solid report, and there is much to suggest that Murray-Djokovic will turn into one of the great rivalries of the Open Era. These two were born only a week apart, and have entered their peaks within a year of each other. They are among the most improved players in history, having had to struggle for years to find a way past superior opponents. Now those opponents are likely nearing the end of their careers, and no one younger looks to challenge for the very top any time soon. It would be reasonable to expect the Serb and the Scot to be the dominant players on tour for several years to come, and to push each other to even greater heights in the quest for a winning edge. Murray-Djokovic may never capture the imagination in the way of Federer-Nadal or Borg-McEnroe, even if they go on to play 20 or 30 more matches. 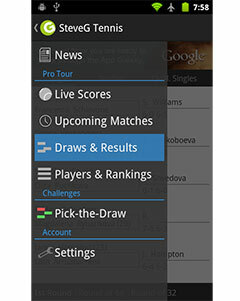 What they may well do, however, is provide some of the best contests we’ll ever see on a tennis court. Either way, we’d better get used to watching them play, because they’re both likely to stick around at the top of the game for some time to come. AKA TennisMartian. Tennis writer and blogger, with a fondness for history and a morbid fascination with statistical analysis.